Welcome to 5 to Thrive. 5 minutes, 5 days a week, to start your day off in an empowered way. Monday-Friday you'll find an empowering message to start your day and help you see your life differently. I encourage you to take the ideas for each day and give them a try in your life and see the shifts that happen for you. Episode 129: Do You Really Want to Be Happy? Would you be surprised that the honest answer for most people is no? Listen and see if that's your true answer and what to do about it! If you’d like to be empowered & ageless, I have a gift for you at http://AgelessLifestyleAfter50.com/manifesto Want to be empowered & ageless; body, mind, and soul? Visit http://AgelessLifestyleAfter50.com If you enjoy this podcast, please subscribe and leave a review to help us grow! 5 to Thrive is recorded live Monday-Friday as a Facebook Live from my ocean view patio in Cabo San Lucas 1st thing in the morning, so you may hear birds or my dogs in the background. This is what non-believers would call coincidence. My definition is a higher power bringing circumstances together for your good. The good news is it can happen minute by minute in your life. Listen to see how! If you’d like to be empowered & ageless, I have a gift for you at http://AgelessLifestyleAfter50.com/manifesto Want to be empowered & ageless; body, mind, and soul? Visit http://AgelessLifestyleAfter50.com If you enjoy this podcast, please subscribe and leave a review to help us grow! 5 to Thrive is recorded live Monday-Friday as a Facebook Live from my ocean view patio in Cabo San Lucas 1st thing in the morning, so you may hear birds or my dogs in the background. My word came with instructions! How about yours? Hear how the power of your word choice influences your world the entire year and the impact of my word for each of the last 2 years. If you’d like to be empowered & ageless, I have a gift for you at http://AgelessLifestyleAfter50.com/manifesto Want to be empowered & ageless; body, mind, and soul? Visit http://AgelessLifestyleAfter50.com If you enjoy this podcast, please subscribe and leave a review to help us grow! 5 to Thrive is recorded live Monday-Friday as a Facebook Live from my ocean view patio in Cabo San Lucas 1st thing in the morning, so you may hear birds or my dogs in the background. What is your word for the year? Hear the benefits of having a word to focus on! If you’d like to be empowered & ageless, I have a gift for you at http://AgelessLifestyleAfter50.com/manifesto Want to be empowered & ageless; body, mind, and soul? Visit http://AgelessLifestyleAfter50.com If you enjoy this podcast, please subscribe and leave a review to help us grow! 5 to Thrive is recorded live Monday-Friday as a Facebook Live from my ocean view patio in Cabo San Lucas 1st thing in the morning, so you may hear birds or my dogs in the background. Is there a gift in falling? An opportunity in relapse? Listen to hear how these mis-steps are what gets you to a higher place. If you’d like to be empowered & ageless, I have a gift for you at http://AgelessLifestyleAfter50.com/manifesto Want to be empowered & ageless; body, mind, and soul? Visit http://AgelessLifestyleAfter50.com If you enjoy this podcast, please subscribe and leave a review to help us grow! 5 to Thrive is recorded live Monday-Friday as a Facebook Live from my ocean view patio in Cabo San Lucas 1st thing in the morning, so you may hear birds or my dogs in the background. Episode 124: Are You Willing to Receive? You want a lot of things and yet to have them show up in your life you have to be open and willing to receive. Past writing goals, creating vision boards, and praying...there's more to being willing to receive. If you’d like to be empowered & ageless, I have a gift for you at http://AgelessLifestyleAfter50.com/manifesto Want to be empowered & ageless; body, mind, and soul? Visit http://AgelessLifestyleAfter50.com If you enjoy this podcast, please subscribe and leave a review to help us grow! 5 to Thrive is recorded live Monday-Friday as a Facebook Live from my ocean view patio in Cabo San Lucas 1st thing in the morning, so you may hear birds or my dogs in the background. "The first wealth is health" is a quote by Ralph Waldo Emerson. How do you honor this in your life? See how! If you’d like to be empowered & ageless, I have a gift for you at http://AgelessLifestyleAfter50.com/manifesto Want to be empowered & ageless; body, mind, and soul? Visit http://AgelessLifestyleAfter50.com If you enjoy this podcast, please subscribe and leave a review to help us grow! 5 to Thrive is recorded live Monday-Friday as a Facebook Live from my ocean view patio in Cabo San Lucas 1st thing in the morning, so you may hear birds or my dogs in the background. What affect does living your passion have on your health? You may be surprised! If you’d like to be empowered & ageless, I have a gift for you at http://AgelessLifestyleAfter50.com/manifesto Want to be empowered & ageless; body, mind, and soul? Visit http://AgelessLifestyleAfter50.com If you enjoy this podcast, please subscribe and leave a review to help us grow! 5 to Thrive is recorded live Monday-Friday as a Facebook Live from my ocean view patio in Cabo San Lucas 1st thing in the morning, so you may hear birds or my dogs in the background. Is your world reflecting your internal frame of reference? Listen to see how we project what we want and then make it our truth! If you’d like to be empowered & ageless, I have a gift for you at http://AgelessLifestyleAfter50.com/manifesto Want to be empowered & ageless; body, mind, and soul? Visit http://AgelessLifestyleAfter50.com If you enjoy this podcast, please subscribe and leave a review to help us grow! 5 to Thrive is recorded live Monday-Friday as a Facebook Live from my ocean view patio in Cabo San Lucas 1st thing in the morning, so you may hear birds or my dogs in the background. Are you destined to repeat your past? Or do you see something once and learn from it? You can use the information of the past to help direct you in the present. Listen to see how! If you’d like to be empowered & ageless, I have a gift for you at http://AgelessLifestyleAfter50.com/manifesto Want to be empowered & ageless; body, mind, and soul? Visit http://AgelessLifestyleAfter50.com If you enjoy this podcast, please subscribe and leave a review to help us grow! 5 to Thrive is recorded live Monday-Friday as a Facebook Live from my ocean view patio in Cabo San Lucas 1st thing in the morning, so you may hear birds or my dogs in the background. Do you try to speed up your morning rituals and routines? Here's why you want to stop that and instead slow down! If you’d like to be empowered & ageless, I have a gift for you at http://AgelessLifestyleAfter50.com/manifesto Want to be empowered & ageless; body, mind, and soul? Visit http://AgelessLifestyleAfter50.com If you enjoy this podcast, please subscribe and leave a review to help us grow! 5 to Thrive is recorded live Monday-Friday as a Facebook Live from my ocean view patio in Cabo San Lucas 1st thing in the morning, so you may hear birds or my dogs in the background. Do you thank yourself like Snoop Dog? Maybe you should. Listen and see why! If you’d like to be empowered & ageless, I have a gift for you at http://AgelessLifestyleAfter50.com/manifesto Want to be empowered & ageless; body, mind, and soul? Visit http://AgelessLifestyleAfter50.com If you enjoy this podcast, please subscribe and leave a review to help us grow! 5 to Thrive is recorded live Monday-Friday as a Facebook Live from my ocean view patio in Cabo San Lucas 1st thing in the morning, so you may hear birds or my dogs in the background. This analogy will have you looking at how you make choices and what you choose to focus on in a different way and more empowering way! If you’d like to be empowered & ageless, I have a gift for you at http://AgelessLifestyleAfter50.com/manifesto Want to be empowered & ageless; body, mind, and soul? Visit http://AgelessLifestyleAfter50.com If you enjoy this podcast, please subscribe and leave a review to help us grow! 5 to Thrive is recorded live Monday-Friday as a Facebook Live from my ocean view patio in Cabo San Lucas 1st thing in the morning, so you may hear birds or my dogs in the background. Episode 117: Correcting or Overcorrecting? When did the craze of downsizing and simplicity really start? Is it the over 50 age group wanting simplicity? Or is it that after 2008 an overcorrection to loss? If you don't know why you're doing it you can find yourself just as unhappy int eh new situation as you were before. If you’d like to be empowered & ageless, I have a gift for you at http://AgelessLifestyleAfter50.com/manifesto Want to be empowered & ageless; body, mind, and soul? Visit http://AgelessLifestyleAfter50.com If you enjoy this podcast, please subscribe and leave a review to help us grow! 5 to Thrive is recorded live Monday-Friday as a Facebook Live from my ocean view patio in Cabo San Lucas 1st thing in the morning, so you may hear birds or my dogs in the background. I have 3 affirmations for you today to help you affirm what you accept as being true in your life. If you’d like to be empowered & ageless, I have a gift for you at http://AgelessLifestyleAfter50.com/manifesto Want to be empowered & ageless; body, mind, and soul? Visit http://AgelessLifestyleAfter50.com If you enjoy this podcast, please subscribe and leave a review to help us grow! 5 to Thrive is recorded live Monday-Friday as a Facebook Live from my ocean view patio in Cabo San Lucas 1st thing in the morning, so you may hear birds or my dogs in the background. What does it mean to you to be thankful or grateful? Do you find it difficult to gracious receive complements, accolades, love when someone says they are grateful for you? If you’d like to be empowered & ageless, I have a gift for you at http://AgelessLifestyleAfter50.com/manifesto Want to be empowered & ageless; body, mind, and soul? Visit http://AgelessLifestyleAfter50.com If you enjoy this podcast, please subscribe and leave a review to help us grow! 5 to Thrive is recorded live Monday-Friday as a Facebook Live from my ocean view patio in Cabo San Lucas 1st thing in the morning, so you may hear birds or my dogs in the background. "Change is the end result of all true learning." - Leo Buscaglia Change is what life is all about and it's exciting to grow and change. Constant expansion to become more of who we are. If you’d like to be empowered & ageless, I have a gift for you at http://AgelessLifestyleAfter50.com/manifesto Want to be empowered & ageless; body, mind, and soul? Visit http://AgelessLifestyleAfter50.com If you enjoy this podcast, please subscribe and leave a review to help us grow! 5 to Thrive is recorded live Monday-Friday as a Facebook Live from my ocean view patio in Cabo San Lucas 1st thing in the morning, so you may hear birds or my dogs in the background. There is an internet issue in the first 30 seconds. After listening to this, you'll find some humor in trying to make things happen in your life. If you’d like to be empowered & ageless, I have a gift for you at http://AgelessLifestyleAfter50.com/manifesto Want to be empowered & ageless; body, mind, and soul? Visit http://AgelessLifestyleAfter50.com If you enjoy this podcast, please subscribe and leave a review to help us grow! 5 to Thrive is recorded live Monday-Friday as a Facebook Live from my ocean view patio in Cabo San Lucas 1st thing in the morning, so you may hear birds or my dogs in the background. Which Do You Choose? Are you feeling isolated and alone because of what is going on in the world? If you’d like to be empowered & ageless, I have a gift for you at http://AgelessLifestyleAfter50.com/manifesto Want to be empowered & ageless; body, mind, and soul? Visit http://AgelessLifestyleAfter50.com If you enjoy this podcast, please subscribe and leave a review to help us grow! 5 to Thrive is recorded live Monday-Friday as a Facebook Live from my ocean view patio in Cabo San Lucas 1st thing in the morning, so you may hear birds or my dogs in the background. It's time to find more time for you. The only way you can unclutter your calendar to find this time is today's topic! If you’d like to be empowered & ageless, I have a gift for you at http://AgelessLifestyleAfter50.com/manifesto Want to be empowered & ageless; body, mind, and soul? Visit http://AgelessLifestyleAfter50.com If you enjoy this podcast, please subscribe and leave a review to help us grow! 5 to Thrive is recorded live Monday-Friday as a Facebook Live from my ocean view patio in Cabo San Lucas 1st thing in the morning, so you may hear birds or my dogs in the background. Forget the old saying, because it's not true. Stop deluding yourself with stories about your past that aren't true! Listen to see how to take off that story and set yourself free. If you’d like to be empowered & ageless, I have a gift for you at http://AgelessLifestyleAfter50.com/manifesto Want to be empowered & ageless; body, mind, and soul? Visit http://AgelessLifestyleAfter50.com If you enjoy this podcast, please subscribe and leave a review to help us grow! 5 to Thrive is recorded live Monday-Friday as a Facebook Live from my ocean view patio in Cabo San Lucas 1st thing in the morning, so you may hear birds or my dogs in the background. Experience the thrill of getting to know the real authentic you, continually going deeper and deeper to your core. If you’d like to be empowered & ageless, I have a gift for you at http://AgelessLifestyleAfter50.com/manifesto Want to be empowered & ageless; body, mind, and soul? Visit http://AgelessLifestyleAfter50.com If you enjoy this podcast, please subscribe and leave a review to help us grow! 5 to Thrive is recorded live Monday-Friday as a Facebook Live from my ocean view patio in Cabo San Lucas 1st thing in the morning, so you may hear birds or my dogs in the background. With everything going on in the world right now, do you think about the choices you make when it comes to what you value? A lot of times what we say we value and what we spend our time and money on are two different things. Listen to see how to have that simple, more meaningful life you say you want. If you’d like to be empowered & ageless, I have a gift for you at http://AgelessLifestyleAfter50.com/manifesto Want to be empowered & ageless; body, mind, and soul? Visit http://AgelessLifestyleAfter50.com If you enjoy this podcast, please subscribe and leave a review to help us grow! 5 to Thrive is recorded live Monday-Friday as a Facebook Live from my ocean view patio in Cabo San Lucas 1st thing in the morning, so you may hear birds or my dogs in the background. Magnificence or failure. It's all in the way you choose to view everything, big or small, that happens. See how to choose to see what could be failure as part of your brilliance. If you’d like to be empowered & ageless, I have a gift for you at http://AgelessLifestyleAfter50.com/manifesto Want to be empowered & ageless; body, mind, and soul? Visit http://AgelessLifestyleAfter50.com If you enjoy this podcast, please subscribe and leave a review to help us grow! 5 to Thrive is recorded live Monday-Friday as a Facebook Live from my ocean view patio in Cabo San Lucas 1st thing in the morning, so you may hear birds or my dogs in the background. Being kind to other people fills you with endorphins and brings joy to your life. What about being kind to your body? Accepting things as being part part of aging, or body shaming is not kind. Find out how to be more kind to your body. If you’d like to be empowered & ageless, I have a gift for you at http://AgelessLifestyleAfter50.com/manifesto Want to be empowered & ageless; body, mind, and soul? Visit http://AgelessLifestyleAfter50.com If you enjoy this podcast, please subscribe and leave a review to help us grow! 5 to Thrive is recorded live Monday-Friday as a Facebook Live from my ocean view patio in Cabo San Lucas 1st thing in the morning, so you may hear birds or my dogs in the background. Are you grateful every day? Because you are building and choosing your life every day! Here's how to express more gratitude in your life. If you’d like to be empowered & ageless, I have a gift for you at http://AgelessLifestyleAfter50.com/manifesto Want to be empowered & ageless; body, mind, and soul? Visit http://AgelessLifestyleAfter50.com If you enjoy this podcast, please subscribe and leave a review to help us grow! 5 to Thrive is recorded live Monday-Friday as a Facebook Live from my ocean view patio in Cabo San Lucas 1st thing in the morning, so you may hear birds or my dogs in the background. Episode 104: What Do You REALLY Want? "What is necessary to change a person is to change his awareness of himself." Abraham Mazlow You have to figure out how to become the person you want to be. Listen in to see how! If you’d like to be empowered & ageless, I have a gift for you at http://AgelessLifestyleAfter50.com/manifesto Want to be empowered & ageless; body, mind, and soul? Visit http://AgelessLifestyleAfter50.com If you enjoy this podcast, please subscribe and leave a review to help us grow! 5 to Thrive is recorded live Monday-Friday as a Facebook Live from my ocean view patio in Cabo San Lucas 1st thing in the morning, so you may hear birds or my dogs in the background. When things aren't going well, it's time to flip the script. Instead of telling yourself the story and why it can't change, take a few minutes and ask yourself how you can totally flip the script to see it in a way you can reframe it. Listen to see how you can turn a problem into an opportunity. If you’d like to be empowered & ageless, I have a gift for you at http://AgelessLifestyleAfter50.com/manifesto Want to be empowered & ageless; body, mind, and soul? Visit http://AgelessLifestyleAfter50.com If you enjoy this podcast, please subscribe and leave a review to help us grow! 5 to Thrive is recorded live Monday-Friday as a Facebook Live from my ocean view patio in Cabo San Lucas 1st thing in the morning, so you may hear birds or my dogs in the background. When you're feeling inspired you're operating on your higher intelligence. And when you listen to the opinions of other people what happens to you staying true to that inner knowing? How much of your inner alignment and peace are you willing to give up to please other people? (There is an audio issue in the 1st 2 minutes) If you’d like to be empowered & ageless, I have a gift for you at http://AgelessLifestyleAfter50.com/manifesto Want to be empowered & ageless; body, mind, and soul? Visit http://AgelessLifestyleAfter50.com If you enjoy this podcast, please subscribe and leave a review to help us grow! 5 to Thrive is recorded live Monday-Friday as a Facebook Live from my ocean view patio in Cabo San Lucas 1st thing in the morning, so you may hear birds or my dogs in the background. Friends and family may say you're good at something and that you should do it for a living. But is it really your calling or will it make you miserable in the end? If you’d like to be empowered & ageless, I have a gift for you at http://AgelessLifestyleAfter50.com/manifesto Want to be empowered & ageless; body, mind, and soul? Visit http://AgelessLifestyleAfter50.com If you enjoy this podcast, please subscribe and leave a review to help us grow! 5 to Thrive is recorded live Monday-Friday as a Facebook Live from my ocean view patio in Cabo San Lucas 1st thing in the morning, so you may hear birds or my dogs in the background. Do you let people in? It can be a very hard thing to do. Find out how to do it! If you’d like to be empowered & ageless, I have a gift for you at http://AgelessLifestyleAfter50.com/manifesto Want to be empowered & ageless; body, mind, and soul? Visit http://AgelessLifestyleAfter50.com If you enjoy this podcast, please subscribe and leave a review to help us grow! 5 to Thrive is recorded live Monday-Friday as a Facebook Live from my ocean view patio in Cabo San Lucas 1st thing in the morning, so you may hear birds or my dogs in the background. How do you do things and figure things out you've never done before? If you’d like to be empowered & ageless, I have a gift for you at http://AgelessLifestyleAfter50.com/manifesto Want to be empowered & ageless; body, mind, and soul? Visit http://AgelessLifestyleAfter50.com If you enjoy this podcast, please subscribe and leave a review to help us grow! 5 to Thrive is recorded live Monday-Friday as a Facebook Live from my ocean view patio in Cabo San Lucas 1st thing in the morning, so you may hear birds or my dogs in the background. Just a simple smile can set everything straight. Listen to how a smile can change any situation. If you’d like to be empowered & ageless, I have a gift for you at http://AgelessLifestyleAfter50.com/manifesto Want to be empowered & ageless; body, mind, and soul? Visit http://AgelessLifestyleAfter50.com If you enjoy this podcast, please subscribe and leave a review to help us grow! 5 to Thrive is recorded live Monday-Friday as a Facebook Live from my ocean view patio in Cabo San Lucas 1st thing in the morning, so you may hear birds or my dogs in the background. Episode 97: Perception: Who Cares? Who really cares what your perception is? And yet we all have them. What impact do your perceptions have? If you’d like to be empowered & ageless, I have a gift for you at http://AgelessLifestyleAfter50.com/manifesto Want to be empowered & ageless; body, mind, and soul? Visit http://AgelessLifestyleAfter50.com If you enjoy this podcast, please subscribe and leave a review to help us grow! 5 to Thrive is recorded live Monday-Friday as a Facebook Live from my ocean view patio in Cabo San Lucas 1st thing in the morning, so you may hear birds or my dogs in the background. What does perfection mean to you anyway? Is it something you strive for, something elusive? If you’d like to be empowered & ageless, I have a gift for you at http://AgelessLifestyleAfter50.com/manifesto Want to be empowered & ageless; body, mind, and soul? Visit http://AgelessLifestyleAfter50.com If you enjoy this podcast, please subscribe and leave a review to help us grow! 5 to Thrive is recorded live Monday-Friday as a Facebook Live from my ocean view patio in Cabo San Lucas 1st thing in the morning, so you may hear birds or my dogs in the background. Sharing automatically makes you feel better, but are you aware of how it comes back to you energetically? Even just with the thought of sharing! If you’d like to be empowered & ageless, I have a gift for you at http://AgelessLifestyleAfter50.com/manifesto Want to be empowered & ageless; body, mind, and soul? Visit http://AgelessLifestyleAfter50.com If you enjoy this podcast, please subscribe and leave a review to help us grow! 5 to Thrive is recorded live Monday-Friday as a Facebook Live from my ocean view patio in Cabo San Lucas 1st thing in the morning, so you may hear birds or my dogs in the background. Opportunities show up in ways you might not expect from unexpected sources. Listen to how you can reframe what could appear to be bad news, especially when you've invested a large amount of money and expended a great deal of personal time. If you’d like to be empowered & ageless, I have a gift for you at http://AgelessLifestyleAfter50.com/manifesto Want to be empowered & ageless; body, mind, and soul? Visit http://AgelessLifestyleAfter50.com If you enjoy this podcast, please subscribe and leave a review to help us grow! 5 to Thrive is recorded live Monday-Friday as a Facebook Live from my ocean view patio in Cabo San Lucas 1st thing in the morning, so you may hear birds or my dogs in the background. These are not two opposing forces. You can be practical and strategic while still being guided by your spirituality. Listen to see how! If you’d like to be empowered & ageless, I have a gift for you at http://AgelessLifestyleAfter50.com/manifesto Want to be empowered & ageless; body, mind, and soul? Visit http://AgelessLifestyleAfter50.com If you enjoy this podcast, please subscribe and leave a review to help us grow! 5 to Thrive is recorded live Monday-Friday as a Facebook Live from my ocean view patio in Cabo San Lucas 1st thing in the morning, so you may hear birds or my dogs in the background. Have you looked for your purpose? Are you living your purpose? Everything in the Universe has a specific purpose and so do you! f you’d like to be empowered & ageless, I have a gift for you at http://AgelessLifestyleAfter50.com/manifesto Want to be empowered & ageless; body, mind, and soul? Visit http://AgelessLifestyleAfter50.com If you enjoy this podcast, please subscribe and leave a review to help us grow! 5 to Thrive is recorded live Monday-Friday as a Facebook Live from my ocean view patio in Cabo San Lucas 1st thing in the morning, so you may hear birds or my dogs in the background. Today on the live video, in the 1st 30 seconds, I tried to show something that didn't work. Just like in life, not everything works. The dream of the fisherman who come from all over the world to fish in this tournament and their psychology isn't all that different than yours! Do you believe you have a shot? Listen to hear what it takes. If you’d like to be empowered & ageless, I have a gift for you at http://AgelessLifestyleAfter50.com/manifesto Want to be empowered & ageless; body, mind, and soul? Visit http://AgelessLifestyleAfter50.com If you enjoy this podcast, please subscribe and leave a review to help us grow! 5 to Thrive is recorded live Monday-Friday as a Facebook Live from my ocean view patio in Cabo San Lucas 1st thing in the morning, so you may hear birds or my dogs in the background. Where is your internal dialogue focused? See how it affects your level of abundance! You can find Change One Thing, Change Your Life here. If you’d like to be empowered & ageless, I have a gift for you at http://AgelessLifestyleAfter50.com/manifesto Want to be empowered & ageless; body, mind, and soul? Visit http://AgelessLifestyleAfter50.com If you enjoy this podcast, please subscribe and leave a review to help us grow! 5 to Thrive is recorded live Monday-Friday as a Facebook Live from my ocean view patio in Cabo San Lucas 1st thing in the morning, so you may hear birds or my dogs in the background. Episode 89: Will You Change the World or Will It Change You? Today I have a story for you and then you decide your own answer to this question! If you’d like to be empowered & ageless, I have a gift for you at http://AgelessLifestyleAfter50.com/manifesto Want to be empowered & ageless; body, mind, and soul? Visit http://AgelessLifestyleAfter50.com If you enjoy this podcast, please subscribe and leave a review to help us grow! 5 to Thrive is recorded live Monday-Friday as a Facebook Live from my ocean view patio in Cabo San Lucas 1st thing in the morning, so you may hear birds or my dogs in the background. They call it inner peace for a reason, and yet so many outside influences prevent you from feeling it. Here's how to create peace for yourself! If you’d like to be empowered & ageless, I have a gift for you at http://AgelessLifestyleAfter50.com/manifesto Want to be empowered & ageless; body, mind, and soul? Visit http://AgelessLifestyleAfter50.com If you enjoy this podcast, please subscribe and leave a review to help us grow! 5 to Thrive is recorded live Monday-Friday as a Facebook Live from my ocean view patio in Cabo San Lucas 1st thing in the morning, so you may hear birds or my dogs in the background. How would your life be different if you believed you are in essence prosperity and abundance? If you’d like to be empowered & ageless, I have a gift for you at http://AgelessLifestyleAfter50.com/manifesto Want to be empowered & ageless; body, mind, and soul? Visit http://AgelessLifestyleAfter50.com If you enjoy this podcast, please subscribe and leave a review to help us grow! 5 to Thrive is recorded live Monday-Friday as a Facebook Live from my ocean view patio in Cabo San Lucas 1st thing in the morning, so you may hear birds or my dogs in the background. Everything that you want is right on the other side of the door! What's the door? Find out when you listen in. If you’d like to be empowered & ageless, I have a gift for you at http://AgelessLifestyleAfter50.com/manifesto Want to be empowered & ageless; body, mind, and soul? Visit http://AgelessLifestyleAfter50.com If you enjoy this podcast, please subscribe and leave a review to help us grow! 5 to Thrive is recorded live Monday-Friday as a Facebook Live from my ocean view patio in Cabo San Lucas 1st thing in the morning, so you may hear birds or my dogs in the background. On this episode I was trying to share my sunrise on Facebook Live as a way I'm wowed by my life, to be grateful, to live in a state of appreciation. It's ok, nobody on Facebook saw it either. :-) Do you keep a gratitude journal so you have a record of all the amazing things in your life? Listen in and see what this will do for you! If you’d like to be empowered & ageless, I have a gift for you at http://AgelessLifestyleAfter50.com/manifesto Want to be empowered & ageless; body, mind, and soul? Visit http://AgelessLifestyleAfter50.com If you enjoy this podcast, please subscribe and leave a review to help us grow! 5 to Thrive is recorded live Monday-Friday as a Facebook Live from my ocean view patio in Cabo San Lucas 1st thing in the morning, so you may hear birds or my dogs in the background. “The best way to predict the future is to create it.” is a quote by Peter Drucker. How are you creating your future? Find out how! If you’d like to be empowered & ageless, I have a gift for you at http://AgelessLifestyleAfter50.com/manifesto Want to be empowered & ageless; body, mind, and soul? Visit http://AgelessLifestyleAfter50.com If you enjoy this podcast, please subscribe and leave a review to help us grow! 5 to Thrive is recorded live Monday-Friday as a Facebook Live from my ocean view patio in Cabo San Lucas 1st thing in the morning, so you may hear birds or my dogs in the background. Nothing could be easier than changing your habits in a way that things just naturally occur. Want to know which way that is? If you’d like to be empowered & ageless, I have a gift for you at http://AgelessLifestyleAfter50.com/manifesto Want to be empowered & ageless; body, mind, and soul? Visit http://AgelessLifestyleAfter50.com If you enjoy this podcast, please subscribe and leave a review to help us grow! 5 to Thrive is recorded live Monday-Friday as a Facebook Live from my ocean view patio in Cabo San Lucas 1st thing in the morning, so you may hear birds or my dogs in the background. Every day is a new beginning, a fresh, start, a chance to do something differently than you've done in the past. See how easy it is to make a new choice! If you’d like to be empowered & ageless, I have a gift for you at http://AgelessLifestyleAfter50.com/manifesto Want to be empowered & ageless; body, mind, and soul? Visit http://AgelessLifestyleAfter50.com If you enjoy this podcast, please subscribe and leave a review to help us grow! 5 to Thrive is recorded live Monday-Friday as a Facebook Live from my ocean view patio in Cabo San Lucas 1st thing in the morning, so you may hear birds or my dogs in the background. Can you own that or do your thoughts immediately go to negative self-talk? It can be a pretty big claim! If you’d like to be empowered & ageless, I have a gift for you at http://AgelessLifestyleAfter50.com/manifesto Want to be empowered & ageless; body, mind, and soul? Visit http://AgelessLifestyleAfter50.com If you enjoy this podcast, please subscribe and leave a review to help us grow! 5 to Thrive is recorded live Monday-Friday as a Facebook Live from my ocean view patio in Cabo San Lucas 1st thing in the morning, so you may hear birds or my dogs in the background. Today I want you to focus on empowering you, on what you love about being you! Is that hard for you? Let me show you how... If you’d like to be empowered & ageless, I have a gift for you at http://AgelessLifestyleAfter50.com/manifesto Want to be empowered & ageless; body, mind, and soul? Visit http://AgelessLifestyleAfter50.com If you enjoy this podcast, please subscribe and leave a review to help us grow! 5 to Thrive is recorded live Monday-Friday as a Facebook Live from my ocean view patio in Cabo San Lucas 1st thing in the morning, so you may hear birds or my dogs in the background. Thing come up in your life over and over until you get the lesson, the same situation wearing different clothes. Find out how to simply choose again! If you’d like to be empowered & ageless, I have a gift for you at http://AgelessLifestyleAfter50.com/manifesto Want to be empowered & ageless; body, mind, and soul? Visit http://AgelessLifestyleAfter50.com If you enjoy this podcast, please subscribe and leave a review to help us grow! 5 to Thrive is recorded live Monday-Friday as a Facebook Live from my ocean view patio in Cabo San Lucas 1st thing in the morning, so you may hear birds or my dogs in the background. Do you ever take a break from your routines and rituals? How do you know when it's time to go back? If you’d like to be empowered & ageless, I have a gift for you at http://AgelessLifestyleAfter50.com/manifesto Want to be empowered & ageless; body, mind, and soul? Visit http://AgelessLifestyleAfter50.com If you enjoy this podcast, please subscribe and leave a review to help us grow! 5 to Thrive is recorded live Monday-Friday as a Facebook Live from my ocean view patio in Cabo San Lucas 1st thing in the morning, so you may hear birds or my dogs in the background. How do you edify someone? It's so much more than a compliment! If you’d like to be empowered & ageless, I have a gift for you at http://AgelessLifestyleAfter50.com/manifesto Want to be empowered & ageless; body, mind, and soul? Visit http://AgelessLifestyleAfter50.com If you enjoy this podcast, please subscribe and leave a review to help us grow! 5 to Thrive is recorded live Monday-Friday as a Facebook Live from my ocean view patio in Cabo San Lucas 1st thing in the morning, so you may hear birds or my dogs in the background. Do you except or life as it is now or do you resist? You can check out Change One Thing, Change Your Life If you’d like to be empowered & ageless, I have a gift for you at http://AgelessLifestyleAfter50.com/manifesto Want to be empowered & ageless; body, mind, and soul? Visit http://AgelessLifestyleAfter50.com If you enjoy this podcast, please subscribe and leave a review to help us grow! 5 to Thrive is recorded live Monday-Friday as a Facebook Live from my ocean view patio in Cabo San Lucas 1st thing in the morning, so you may hear birds or my dogs in the background. Episode 75: Goals or Inspiration? Inspiration can be a little more nebulous than goals, but even more powerful! If you’d like to be empowered & ageless, I have a gift for you at http://AgelessLifestyleAfter50.com/manifesto Want to be empowered & ageless; body, mind, and soul? Visit http://AgelessLifestyleAfter50.com If you enjoy this podcast, please subscribe and leave a review to help us grow! 5 to Thrive is recorded live Monday-Friday as a Facebook Live from my ocean view patio in Cabo San Lucas 1st thing in the morning, so you may hear birds or my dogs in the background. Mary Lou Retton did it by pushing herself to do Dancing with the Stars. How will you find your true self. If you’d like to be empowered & ageless, I have a gift for you at http://AgelessLifestyleAfter50.com/manifesto Want to be empowered & ageless; body, mind, and soul? Visit http://AgelessLifestyleAfter50.com If you enjoy this podcast, please subscribe and leave a review to help us grow! 5 to Thrive is recorded live Monday-Friday as a Facebook Live from my ocean view patio in Cabo San Lucas 1st thing in the morning, so you may hear birds or my dogs in the background. Kindness doesn't cost a thing. Should be easy, right? If you’d like to be empowered & ageless, I have a gift for you at http://AgelessLifestyleAfter50.com/manifesto Want to be empowered & ageless; body, mind, and soul? Visit http://AgelessLifestyleAfter50.com If you enjoy this podcast, please subscribe and leave a review to help us grow! 5 to Thrive is recorded live Monday-Friday as a Facebook Live from my ocean view patio in Cabo San Lucas 1st thing in the morning, so you may hear birds or my dogs in the background. You should only change what you can test. There's a process to this! If you’d like to be empowered & ageless, I have a gift for you at http://AgelessLifestyleAfter50.com/manifesto Want to be empowered & ageless; body, mind, and soul? Visit http://AgelessLifestyleAfter50.com If you enjoy this podcast, please subscribe and leave a review to help us grow! 5 to Thrive is recorded live Monday-Friday as a Facebook Live from my ocean view patio in Cabo San Lucas 1st thing in the morning, so you may hear birds or my dogs in the background. Hear how to embody the change you want to see in the world! If you’d like to be empowered & ageless, I have a gift for you at http://AgelessLifestyleAfter50.com/manifesto Want to be empowered & ageless; body, mind, and soul? Visit http://AgelessLifestyleAfter50.com If you enjoy this podcast, please subscribe and leave a review to help us grow! 5 to Thrive is recorded live Monday-Friday as a Facebook Live from my ocean view patio in Cabo San Lucas 1st thing in the morning, so you may hear birds or my dogs in the background. Episode 69: Do You Need a Vacation? It all depends on how you're currently living your life, so let's see if you need a vacation! If you’d like to be empowered & ageless, I have a gift for you at http://AgelessLifestyleAfter50.com/manifesto Want to be empowered & ageless; body, mind, and soul? Visit http://AgelessLifestyleAfter50.com If you enjoy this podcast, please subscribe and leave a review to help us grow! 5 to Thrive is recorded live Monday-Friday as a Facebook Live from my ocean view patio in Cabo San Lucas 1st thing in the morning, so you may hear birds or my dogs in the background. Let's take about your perceived limitations in the frame of that Nike ad. If you’d like to be empowered & ageless, I have a gift for you at http://AgelessLifestyleAfter50.com/manifesto Want to be empowered & ageless; body, mind, and soul? Visit http://AgelessLifestyleAfter50.com If you enjoy this podcast, please subscribe and leave a review to help us grow! 5 to Thrive is recorded live Monday-Friday as a Facebook Live from my ocean view patio in Cabo San Lucas 1st thing in the morning, so you may hear birds or my dogs in the background. What do you believe in so passionately that you're willing take a stand for? If you’d like to be empowered & ageless, I have a gift for you at http://AgelessLifestyleAfter50.com/manifesto Want to be empowered & ageless; body, mind, and soul? Visit http://AgelessLifestyleAfter50.com If you enjoy this podcast, please subscribe and leave a review to help us grow! 5 to Thrive is recorded live Monday-Friday as a Facebook Live from my ocean view patio in Cabo San Lucas 1st thing in the morning, so you may hear birds or my dogs in the background. How do you show up for yourself and in the world? Are you holding back what you're capable of? If you’d like to be empowered & ageless, I have a gift for you at http://AgelessLifestyleAfter50.com/manifesto Want to be empowered & ageless; body, mind, and soul? Visit http://AgelessLifestyleAfter50.com If you enjoy this podcast, please subscribe and leave a review to help us grow! 5 to Thrive is recorded live Monday-Friday as a Facebook Live from my ocean view patio in Cabo San Lucas 1st thing in the morning, so you may hear birds or my dogs in the background. How often does being right not lead to you having a happy day? Hear how to be happy instead, because of how you make the decision! If you’d like to be empowered & ageless, I have a gift for you at http://AgelessLifestyleAfter50.com/manifesto Want to be empowered & ageless; body, mind, and soul? Visit http://AgelessLifestyleAfter50.com If you enjoy this podcast, please subscribe and leave a review to help us grow! 5 to Thrive is recorded live Monday-Friday as a Facebook Live from my ocean view patio in Cabo San Lucas 1st thing in the morning, so you may hear birds or my dogs in the background. Just like rain is a clean slate for nature, you can have your own season of renewal. If you’d like to be empowered & ageless, I have a gift for you at http://AgelessLifestyleAfter50.com/manifesto Want to be empowered & ageless; body, mind, and soul? Visit http://AgelessLifestyleAfter50.com If you enjoy this podcast, please subscribe and leave a review to help us grow! 5 to Thrive is recorded live Monday-Friday as a Facebook Live from my ocean view patio in Cabo San Lucas 1st thing in the morning, so you may hear birds or my dogs in the background. Do you need any extra day off? You don't need to wait for holidays to take the time you need! If you’d like to be empowered & ageless, I have a gift for you at http://AgelessLifestyleAfter50.com/manifesto Want to be empowered & ageless; body, mind, and soul? Visit http://AgelessLifestyleAfter50.com If you enjoy this podcast, please subscribe and leave a review to help us grow! 5 to Thrive is recorded live Monday-Friday as a Facebook Live from my ocean view patio in Cabo San Lucas 1st thing in the morning, so you may hear birds or my dogs in the background. As positive as you're trying to be every single day, cloudy thinking can sneak back in! If you’d like to be empowered & ageless, I have a gift for you at http://AgelessLifestyleAfter50.com/manifesto Want to be empowered & ageless; body, mind, and soul? Visit http://AgelessLifestyleAfter50.com If you enjoy this podcast, please subscribe and leave a review to help us grow! 5 to Thrive is recorded live Monday-Friday as a Facebook Live from my ocean view patio in Cabo San Lucas 1st thing in the morning, so you may hear birds or my dogs in the background. Episode 61: Give Us Both a Break! Forgive yourself and others. It's easier than you think! If you’d like to be empowered & ageless, I have a gift for you at http://AgelessLifestyleAfter50.com/manifesto Want to be empowered & ageless; body, mind, and soul? Visit http://AgelessLifestyleAfter50.com If you enjoy this podcast, please subscribe and leave a review to help us grow! 5 to Thrive is recorded live Monday-Friday as a Facebook Live from my ocean view patio in Cabo San Lucas 1st thing in the morning, so you may hear birds or my dogs in the background. Episode 60: Can You Be Too Positive? Are you called a Pollyanna? Here's why it's not a bad thing! If you’d like to be empowered & ageless, I have a gift for you at http://AgelessLifestyleAfter50.com/manifesto Want to be empowered & ageless; body, mind, and soul? Visit http://AgelessLifestyleAfter50.com If you enjoy this podcast, please subscribe and leave a review to help us grow! 5 to Thrive is recorded live Monday-Friday as a Facebook Live from my ocean view patio in Cabo San Lucas 1st thing in the morning, so you may hear birds or my dogs in the background. At any given time you can choose to change one habit, on belief that has ripple affects across your entire life. If you’d like to be empowered & ageless, I have a gift for you at http://AgelessLifestyleAfter50.com/manifesto Want to be empowered & ageless; body, mind, and soul? Visit http://AgelessLifestyleAfter50.com If you enjoy this podcast, please subscribe and leave a review to help us grow! 5 to Thrive is recorded live Monday-Friday as a Facebook Live from my ocean view patio in Cabo San Lucas 1st thing in the morning, so you may hear birds or my dogs in the background. opportunities come along every day. Do you know the difference between an opportunity that's meant for you and one that's available to you? If you’d like to be empowered & ageless, I have a gift for you at http://AgelessLifestyleAfter50.com/manifesto Want to be empowered & ageless; body, mind, and soul? Visit http://AgelessLifestyleAfter50.com If you enjoy this podcast, please subscribe and leave a review to help us grow! 5 to Thrive is recorded live Monday-Friday as a Facebook Live from my ocean view patio in Cabo San Lucas 1st thing in the morning, so you may hear birds or my dogs in the background. Episode 57: What Did You Want More than Peace of Mind? What could be more important to you than peace of mind? Why would you want something that's so difficult to have that you can't have that and peace of mind? If you’d like to be empowered & ageless, I have a gift for you at http://AgelessLifestyleAfter50.com/manifesto Want to be empowered & ageless; body, mind, and soul? Visit http://AgelessLifestyleAfter50.com If you enjoy this podcast, please subscribe and leave a review to help us grow! 5 to Thrive is recorded live Monday-Friday as a Facebook Live from my ocean view patio in Cabo San Lucas 1st thing in the morning, so you may hear birds or my dogs in the background. Your brain has to be fed to keep you healthy, positive and empowered instead of having a foggy brain, memory loss, and depleted energy! If you’d like to be empowered & ageless, I have a gift for you at http://AgelessLifestyleAfter50.com/manifesto Want to be empowered & ageless; body, mind, and soul? Visit http://AgelessLifestyleAfter50.com If you enjoy this podcast, please subscribe and leave a review to help us grow! 5 to Thrive is recorded live Monday-Friday as a Facebook Live from my ocean view patio in Cabo San Lucas 1st thing in the morning, so you may hear birds or my dogs in the background. The ego mind looks at simplifying as having less. Simplicity to spirit means having more. How does this work? If you’d like to be empowered & ageless, I have a gift for you at http://AgelessLifestyleAfter50.com/manifesto Want to be empowered & ageless; body, mind, and soul? Visit http://AgelessLifestyleAfter50.com If you enjoy this podcast, please subscribe and leave a review to help us grow! 5 to Thrive is recorded live Monday-Friday as a Facebook Live from my ocean view patio in Cabo San Lucas 1st thing in the morning, so you may hear birds or my dogs in the background. The last thing you want to think about is making mistakes, but you make them every day! The ones that are bigger, you aren't so forgiving of. Let's see how to turn that around. If you’d like to be empowered & ageless, I have a gift for you at http://AgelessLifestyleAfter50.com/manifesto Want to be empowered & ageless; body, mind, and soul? Visit http://AgelessLifestyleAfter50.com If you enjoy this podcast, please subscribe and leave a review to help us grow! 5 to Thrive is recorded live Monday-Friday as a Facebook Live from my ocean view patio in Cabo San Lucas 1st thing in the morning, so you may hear birds or my dogs in the background. Whether you like Madonna or not, she is ageless. Here's what you can learn for her! If you’d like to be empowered & ageless, I have a gift for you at http://AgelessLifestyleAfter50.com/manifesto Want to be empowered & ageless; body, mind, and soul? Visit http://AgelessLifestyleAfter50.com If you enjoy this podcast, please subscribe and leave a review to help us grow! 5 to Thrive is recorded live Monday-Friday as a Facebook Live from my ocean view patio in Cabo San Lucas 1st thing in the morning, so you may hear birds or my dogs in the background. Life is actually a spiral rather than a circle, according to an ancient proverb. Find out how this makes a difference in your life! If you’d like to be empowered & ageless, I have a gift for you at http://AgelessLifestyleAfter50.com/manifesto Want to be empowered & ageless; body, mind, and soul? Visit http://AgelessLifestyleAfter50.com If you enjoy this podcast, please subscribe and leave a review to help us grow! 5 to Thrive is recorded live Monday-Friday as a Facebook Live from my ocean view patio in Cabo San Lucas 1st thing in the morning, so you may hear birds or my dogs in the background. Episode 51: Are Your Perceptions Aging You? If they weren't our perceptions, they would be laughable! Are they putting us on a slippery slope to old age or empowering us to be ageless? If you’d like to be empowered & ageless, I have a gift for you at http://AgelessLifestyleAfter50.com/manifesto Want to be empowered & ageless; body, mind, and soul? Visit http://AgelessLifestyleAfter50.com If you enjoy this podcast, please subscribe and leave a review to help us grow! 5 to Thrive is recorded live Monday-Friday as a Facebook Live from my ocean view patio in Cabo San Lucas 1st thing in the morning, so you may hear birds or my dogs in the background. Do you have unsupportive people in your life? There are always people who won't be happy about the changes you are making. Find out what to do! If you’d like to be empowered & ageless, I have a gift for you at http://AgelessLifestyleAfter50.com/manifesto Want to be empowered & ageless; body, mind, and soul? Visit http://AgelessLifestyleAfter50.com If you enjoy this podcast, please subscribe and leave a review to help us grow! 5 to Thrive is recorded live Monday-Friday as a Facebook Live from my ocean view patio in Cabo San Lucas 1st thing in the morning, so you may hear birds or my dogs in the background. For many people it's much easier to give than allowing yourself the gift of receiving. Find out how to stop cutting yourself off from receiving. If you’d like to be empowered & ageless, I have a gift for you at http://AgelessLifestyleAfter50.com/manifesto Want to be empowered & ageless; body, mind, and soul? Visit http://AgelessLifestyleAfter50.com If you enjoy this podcast, please subscribe and leave a review to help us grow! 5 to Thrive is recorded live Monday-Friday as a Facebook Live from my ocean view patio in Cabo San Lucas 1st thing in the morning, so you may hear birds or my dogs in the background. Total fulfillment means living in a state of bliss. Find out how to do that now! Get the recipe mentioned at http://agelesslifestyleafter50.com/burger If you’d like to be empowered & ageless, I have a gift for you at http://AgelessLifestyleAfter50.com/manifesto Want to be empowered & ageless; body, mind, and soul? Visit http://AgelessLifestyleAfter50.com If you enjoy this podcast, please subscribe and leave a review to help us grow! 5 to Thrive is recorded live Monday-Friday as a Facebook Live from my ocean view patio in Cabo San Lucas 1st thing in the morning, so you may hear birds or my dogs in the background. Do you push the boundaries of your comfort zone? Because that's where everything you want is waiting for you! If you’d like to be empowered & ageless, I have a gift for you at http://AgelessLifestyleAfter50.com/manifesto Want to be empowered & ageless; body, mind, and soul? Visit http://AgelessLifestyleAfter50.com If you enjoy this podcast, please subscribe and leave a review to help us grow! 5 to Thrive is recorded live Monday-Friday as a Facebook Live from my ocean view patio in Cabo San Lucas 1st thing in the morning, so you may hear birds or my dogs in the background. Are you pushing constantly? You don't have to. You may experience an audio glitch at the beginning, just fast forward to 1:45. If you’d like to be empowered & ageless, I have a gift for you at http://AgelessLifestyleAfter50.com/manifesto Want to be empowered & ageless; body, mind, and soul? Visit http://AgelessLifestyleAfter50.com If you enjoy this podcast, please subscribe and leave a review to help us grow! 5 to Thrive is recorded live Monday-Friday as a Facebook Live from my ocean view patio in Cabo San Lucas 1st thing in the morning, so you may hear birds or my dogs in the background. Are you chasing after prosperity as if you can't get enough or can't get it fast enough? Or are you blocking prosperity from coming through? If you’d like to be empowered & ageless, I have a gift for you at http://AgelessLifestyleAfter50.com/manifesto Want to be empowered & ageless; body, mind, and soul? Visit http://AgelessLifestyleAfter50.com If you enjoy this podcast, please subscribe and leave a review to help us grow! 5 to Thrive is recorded live Monday-Friday as a Facebook Live from my ocean view patio in Cabo San Lucas 1st thing in the morning, so you may hear birds or my dogs in the background. Have you ever had that experience of nirvana, where the situation is just perfect, where you have a sense of knowing and belonging that's just different? If you’d like to be empowered & ageless, I have a gift for you at http://AgelessLifestyleAfter50.com/manifesto Want to be empowered & ageless; body, mind, and soul? Visit http://AgelessLifestyleAfter50.com If you enjoy this podcast, please subscribe and leave a review to help us grow! 5 to Thrive is recorded live Monday-Friday as a Facebook Live from my ocean view patio in Cabo San Lucas 1st thing in the morning, so you may hear birds or my dogs in the background. See what being neutral looks like and how it led to me getting married. If you’d like to be empowered & ageless, I have a gift for you at http://AgelessLifestyleAfter50.com/manifesto Want to be empowered & ageless; body, mind, and soul? Visit http://AgelessLifestyleAfter50.com If you enjoy this podcast, please subscribe and leave a review to help us grow! 5 to Thrive is recorded live Monday-Friday as a Facebook Live from my ocean view patio in Cabo San Lucas 1st thing in the morning, so you may hear birds or my dogs in the background. How to have your body support you no matter where you're at in your health journey. If you’d like to be empowered & ageless, I have a gift for you at http://AgelessLifestyleAfter50.com/manifesto Want to be empowered & ageless; body, mind, and soul? Visit http://AgelessLifestyleAfter50.com If you enjoy this podcast, please subscribe and leave a review to help us grow! 5 to Thrive is recorded live Monday-Friday as a Facebook Live from my ocean view patio in Cabo San Lucas 1st thing in the morning, so you may hear birds or my dogs in the background. How to allow yourself to make mistakes, just be, without judgment! If you’d like to be empowered & ageless, I have a gift for you at http://AgelessLifestyleAfter50.com/manifesto Want to be empowered & ageless; body, mind, and soul? Visit http://AgelessLifestyleAfter50.com If you enjoy this podcast, please subscribe and leave a review to help us grow! 5 to Thrive is recorded live Monday-Friday as a Facebook Live from my ocean view patio in Cabo San Lucas 1st thing in the morning, so you may hear birds or my dogs in the background. What are the rituals and routines that help you be most productive? If you’d like to be empowered & ageless, I have a gift for you at http://AgelessLifestyleAfter50.com/manifesto Want to be empowered & ageless; body, mind, and soul? Visit http://AgelessLifestyleAfter50.com If you enjoy this podcast, please subscribe and leave a review to help us grow! 5 to Thrive is recorded live Monday-Friday as a Facebook Live from my ocean view patio in Cabo San Lucas 1st thing in the morning, so you may hear birds or my dogs in the background. Attention vs Intention: Knowing the difference is crucial to your success. Here's where you can find the goals program I mentioned: http://agelesslifestyleafter50.com/goalvid If you’d like to be empowered & ageless, I have a gift for you at http://AgelessLifestyleAfter50.com/manifesto Want to be empowered & ageless; body, mind, and soul? Visit http://AgelessLifestyleAfter50.com If you enjoy this podcast, please subscribe and leave a review to help us grow! 5 to Thrive is recorded live Monday-Friday as a Facebook Live from my ocean view patio in Cabo San Lucas 1st thing in the morning, so you may hear birds or my dogs in the background. Episode 38: Love, Appreciation, and Acknowledgment! Love, appreciation and acknowledgment are3 things that we all need to thrive! If you’d like to be empowered & ageless, I have a gift for you at http://AgelessLifestyleAfter50.com/manifesto Want to be empowered & ageless; body, mind, and soul? Visit http://AgelessLifestyleAfter50.com If you enjoy this podcast, please subscribe and leave a review to help us grow! 5 to Thrive is recorded live Monday-Friday as a Facebook Live from my ocean view patio in Cabo San Lucas 1st thing in the morning, so you may hear birds or my dogs in the background. Episode 37: Fearless or Fear-Less? Fearless or Fear-Less? 2 very different and important concepts! If you’d like to be empowered & ageless, I have a gift for you at http://AgelessLifestyleAfter50.com/manifesto Want to be empowered & ageless; body, mind, and soul? Visit http://AgelessLifestyleAfter50.com If you enjoy this podcast, please subscribe and leave a review to help us grow! 5 to Thrive is recorded live Monday-Friday as a Facebook Live from my ocean view patio in Cabo San Lucas 1st thing in the morning, so you may hear birds or my dogs in the background. Why do you believe you create some things in your life and not others? If you’d like to be empowered & ageless, I have a gift for you at http://AgelessLifestyleAfter50.com/manifesto Want to be empowered & ageless; body, mind, and soul? Visit http://AgelessLifestyleAfter50.com If you enjoy this podcast, please subscribe and leave a review to help us grow! 5 to Thrive is recorded live Monday-Friday as a Facebook Live from my ocean view patio in Cabo San Lucas 1st thing in the morning, so you may hear birds or my dogs in the background. What are you choosing to perceive and how does that affect timing in your life? If you’d like to be empowered & ageless, I have a gift for you at http://AgelessLifestyleAfter50.com/manifesto Want to be empowered & ageless; body, mind, and soul? Visit http://AgelessLifestyleAfter50.com If you enjoy this podcast, please subscribe and leave a review to help us grow! 5 to Thrive is recorded live Monday-Friday as a Facebook Live from my ocean view patio in Cabo San Lucas 1st thing in the morning, so you may hear birds or my dogs in the background. Experience the fun of uncovering your hidden talents! If you’d like to be empowered & ageless, I have a gift for you at http://AgelessLifestyleAfter50.com/manifesto Want to be empowered & ageless; body, mind, and soul? Visit http://AgelessLifestyleAfter50.com If you enjoy this podcast, please subscribe and leave a review to help us grow! 5 to Thrive is recorded live Monday-Friday as a Facebook Live from my ocean view patio in Cabo San Lucas 1st thing in the morning, so you may hear birds or my dogs in the background. What are your go-to things that no matter what makes you feel happy just by it's existance? If you’d like to be empowered & ageless, I have a gift for you at http://AgelessLifestyleAfter50.com/manifesto Want to be empowered & ageless; body, mind, and soul? Visit http://AgelessLifestyleAfter50.com If you enjoy this podcast, please subscribe and leave a review to help us grow! 5 to Thrive is recorded live Monday-Friday as a Facebook Live from my ocean view patio in Cabo San Lucas 1st thing in the morning, so you may hear birds or my dogs in the background. Episode 32: Bigger and Better? Do you want your life bigger and better than it is right now or something completely different? If you’d like to be empowered & ageless, I have a gift for you at http://AgelessLifestyleAfter50.com/manifesto Want to be empowered & ageless; body, mind, and soul? Visit http://AgelessLifestyleAfter50.com If you enjoy this podcast, please subscribe and leave a review to help us grow! 5 to Thrive is recorded live Monday-Friday as a Facebook Live from my ocean view patio in Cabo San Lucas 1st thing in the morning, so you may hear birds or my dogs in the background. Making every day of your life a happy adventure is easier than you may think! If you’d like to be empowered & ageless, I have a gift for you at http://AgelessLifestyleAfter50.com/manifesto Want to be empowered & ageless; body, mind, and soul? Visit http://AgelessLifestyleAfter50.com If you enjoy this podcast, please subscribe and leave a review to help us grow! 5 to Thrive is recorded live Monday-Friday as a Facebook Live from my ocean view patio in Cabo San Lucas 1st thing in the morning, so you may hear birds or my dogs in the background. Episode 30: Your True Personal Power! Are you confused about where your personal power comes from? You'll know for sure after listening! If you’d like to be empowered & ageless, I have a gift for you at http://AgelessLifestyleAfter50.com/manifesto Want to be empowered & ageless; body, mind, and soul? Visit http://AgelessLifestyleAfter50.com If you enjoy this podcast, please subscribe and leave a review to help us grow! 5 to Thrive is recorded live Monday-Friday as a Facebook Live from my ocean view patio in Cabo San Lucas 1st thing in the morning, so you may hear birds or my dogs in the background. Who you seem to be is only the tiniest piece of who you truly are! If you’d like to be empowered & ageless, I have a gift for you at http://AgelessLifestyleAfter50.com/manifesto Want to be empowered & ageless; body, mind, and soul? Visit http://AgelessLifestyleAfter50.com If you enjoy this podcast, please subscribe and leave a review to help us grow! 5 to Thrive is recorded live Monday-Friday as a Facebook Live from my ocean view patio in Cabo San Lucas 1st thing in the morning, so you may hear birds or my dogs in the background. Episode 28: Key to a Happy Healthy You! 2 simple things you can do that will make a big difference. They have for me! If you’d like to be empowered & ageless, I have a gift for you at http://AgelessLifestyleAfter50.com/manifesto Want to be empowered & ageless; body, mind, and soul? Visit http://AgelessLifestyleAfter50.com If you enjoy this podcast, please subscribe and leave a review to help us grow! 5 to Thrive is recorded live Monday-Friday as a Facebook Live from my ocean view patio in Cabo San Lucas 1st thing in the morning, so you may hear birds or my dogs in the background. If you have hidden beliefs you really are waging war against yourself. Find out how and why and what to do about it! If you’d like to be empowered & ageless, I have a gift for you at http://AgelessLifestyleAfter50.com/manifesto Want to be empowered & ageless; body, mind, and soul? Visit http://AgelessLifestyleAfter50.com If you enjoy this podcast, please subscribe and leave a review to help us grow! 5 to Thrive is recorded live Monday-Friday as a Facebook Live from my ocean view patio in Cabo San Lucas 1st thing in the morning, so you may hear birds or my dogs in the background. Every day is a new opportunity to start over. Here's how! If you’d like to be empowered & ageless, I have a gift for you at http://AgelessLifestyleAfter50.com/manifesto Want to be empowered & ageless; body, mind, and soul? Visit http://AgelessLifestyleAfter50.com If you enjoy this podcast, please subscribe and leave a review to help us grow! 5 to Thrive is recorded live Monday-Friday as a Facebook Live from my ocean view patio in Cabo San Lucas 1st thing in the morning, so you may hear birds or my dogs in the background. Is your conditioning leaving you disappointed? If you’d like to be empowered & ageless, I have a gift for you at http://AgelessLifestyleAfter50.com/manifesto Want to be empowered & ageless; body, mind, and soul? Visit http://AgelessLifestyleAfter50.com If you enjoy this podcast, please subscribe and leave a review to help us grow! 5 to Thrive is recorded live Monday-Friday as a Facebook Live from my ocean view patio in Cabo San Lucas 1st thing in the morning, so you may hear birds or my dogs in the background. The opposite of more is enough. William P. Young This quote started a meaningful conversation about needing more. If you’d like to be empowered & ageless, I have a gift for you at http://AgelessLifestyleAfter50.com/manifesto Want to be empowered & ageless; body, mind, and soul? Visit http://AgelessLifestyleAfter50.com If you enjoy this podcast, please subscribe and leave a review to help us grow! 5 to Thrive is recorded live Monday-Friday as a Facebook Live from my ocean view patio in Cabo San Lucas 1st thing in the morning, so you may hear birds or my dogs in the background. Find out how this one simple thing can be so powerful in your life. If you’d like to be empowered & ageless, I have a gift for you at http://AgelessLifestyleAfter50.com/manifesto Want to be empowered & ageless; body, mind, and soul? Visit http://AgelessLifestyleAfter50.com If you enjoy this podcast, please subscribe and leave a review to help us grow! 5 to Thrive is recorded live Monday-Friday as a Facebook Live from my ocean view patio in Cabo San Lucas 1st thing in the morning, so you may hear birds or my dogs in the background. Listen to see why it's important to choose a word and how it influences you. If you’d like to be empowered & ageless, I have a gift for you at http://AgelessLifestyleAfter50.com/manifesto If you enjoy this podcast, please subscribe and leave a review to help us grow! 5 to Thrive is recorded live Monday-Friday as a Facebook Live from my ocean view patio in Cabo San Lucas 1st thing in the morning, so you may hear birds or my dogs in the background. See how honoring your inner intelligence increases your financial abundance. 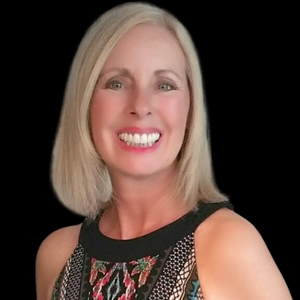 You can find Change One Thing, Change Your Life here: https://bit.ly/2OXi636 If you’d like to be empowered & ageless, I have a gift for you at http://AgelessLifestyleAfter50.com/manifesto If you enjoy this podcast, please subscribe and leave a review to help us grow! 5 to Thrive is recorded live Monday-Friday as a Facebook Live from my ocean view patio in Cabo San Lucas 1st thing in the morning, so you may hear birds or my dogs in the background. What inspires you? If you’d like to be empowered & ageless, I have a gift for you at http://AgelessLifestyleAfter50.com/manifesto If you enjoy this podcast, please subscribe and leave a review to help us grow! 5 to Thrive is recorded live Monday-Friday as a Facebook Live from my ocean view patio in Cabo San Lucas 1st thing in the morning, so you may hear birds or my dogs in the background. Let the beauty we love be what we do. That is a quote by Rumi. If you’d like to be empowered & ageless, I have a gift for you at http://AgelessLifestyleAfter50.com/manifesto If you enjoy this podcast, please subscribe and leave a review to help us grow! 5 to Thrive is recorded live Monday-Friday as a Facebook Live from my ocean view patio in Cabo San Lucas 1st thing in the morning, so you may hear birds or my dogs in the background. Discover the necessary steps to starting a new habit that will greatly enhance your success. If you’d like to be empowered & ageless, I have a gift for you at http://AgelessLifestyleAfter50.com/manifesto 5 to Thrive is recorded live Monday-Friday as a Facebook Live from my ocean view patio in Cabo San Lucas 1st thing in the morning, so you may hear birds or my dogs in the background. Wouldn't it be great if you were open and available to opportunities? YOu can be. Listen now. If you’d like to be empowered & ageless, I have a gift for you at http://AgelessLifestyleAfter50.com/manifesto 5 to Thrive is recorded live Monday-Friday as a Facebook Live from my ocean view patio in Cabo San Lucas 1st thing in the morning, so you may hear birds or my dogs in the background. What you believe most is what you have in your life. Listen in to see exactly how. If you’d like to be empowered & ageless, I have a gift for you at http://AgelessLifestyleAfter50.com/manifesto 5 to Thrive is recorded live Monday-Friday as a Facebook Live from my ocean view patio in Cabo San Lucas 1st thing in the morning, so you may hear birds or my dogs in the background. Episode 15: The Power of Wanting! "Want" is not a 4 letter word! It's not bad to want things. You don't have to be satisfied with what you have. If you’d like to be empowered & ageless, I have a gift for you at http://AgelessLifestyleAfter50.com/manifesto 5 to Thrive is recorded live Monday-Friday as a Facebook Live from my ocean view patio in Cabo San Lucas 1st thing in the morning, so you may hear birds or my dogs in the background. You need 3 things to reach your goals. Don't get caught with vague and shifting goals. If you’d like to be empowered & ageless, I have a goals gift for you at http://agelesslifestyleafter50.com/goalvid 5 to Thrive is recorded live Monday-Friday as a Facebook Live from my ocean view patio in Cabo San Lucas 1st thing in the morning, so you may hear birds or my dogs in the background. Your life is an image created by the pictures formed in your mind. Everything is up to you. You get to choose what you see and the feelings you experience. If you’d like to be empowered & ageless, I have a gift for you at http://AgelessLifestyleAfter50.com/manifesto 5 to Thrive is recorded live Monday-Friday as a Facebook Live from my ocean view patio in Cabo San Lucas 1st thing in the morning, so you may hear birds or my dogs in the background. Are your choices and how you perceive them helping you to have more abundance? Your perception can also block you from things in life. See the role gratitude plays. If you’d like to be empowered & ageless, I have a gift for you at http://AgelessLifestyleAfter50.com/manifesto 5 to Thrive is recorded live Monday-Friday as a Facebook Live from my ocean view patio in Cabo San Lucas 1st thing in the morning, so you may hear birds or my dogs in the background. Are illusion preventing you from being happy? The answer is most likely yes! If you’d like to be empowered & ageless, I have a gift for you at http://AgelessLifestyleAfter50.com/manifesto 5 to Thrive is recorded live Monday-Friday as a Facebook Live from my ocean view patio in Cabo San Lucas 1st thing in the morning, so you may hear birds or my dogs in the background. Episode 10: Removing Blocks to Manifesting the Things You Want! It's not as hard as you may think to remove the blocks you're experiencing. Take a listen and see for yourself. If you’d like to be empowered & ageless, I have a gift for you at http://AgelessLifestyleAfter50.com/manifesto 5 to Thrive is recorded live Monday-Friday as a Facebook Live from my ocean view patio in Cabo San Lucas 1st thing in the morning, so you may hear birds or my dogs in the background. Episode 9: Are You In the Flow, In Alignment In Your Life? When you're in the flow of your day and in alignment in your life you're congruent with who you are, what your goals are and what your thoughts are at a soul level, everything flows. If you’d like to be empowered & ageless, I have a gift for you at http://AgelessLifestyleAfter50.com/manifesto 5 to Thrive is recorded live Monday-Friday as a Facebook Live from my ocean view patio in Cabo San Lucas 1st thing in the morning, so you may hear birds or my dogs in the background. Episode 8: Is this Fear Holding You Back? You may think you're doing all the right things, and yet, it's not all coming together the way you'd like. Could this fear be the reason? If you’d like to be empowered & ageless, I have a gift for you at http://AgelessLifestyleAfter50.com/manifesto 5 to Thrive is recorded live Monday-Friday as a Facebook Live from my ocean view patio in Cabo San Lucas 1st thing in the morning, so you may hear birds or my dogs in the background. Episode 7: Are You Aging Like Cheese? Cheese or fine wine, you want to age in a way that is life-enhancing. We're talking about keeping your brain engaged. Here's an article that gives you the Top 10 Tips to Stimulate Your Aging Brain. http://agelesslifestyleafter50.com/brain 5 to Thrive is recorded live Monday-Friday as a Facebook Live from my ocean view patio in Cabo San Lucas 1st thing in the morning, so you may hear birds or my dogs in the background. Episode 6: Yes, You are Creative! Do you ever feel like other people are much more creative than you are? It's just not true! 5 to Thrive is recorded Monday-Friday as a Facebook Live from my ocean view patio in Cabo San Lucas 1st thing in the morning, so you may hear birds or my dogs in the background. Find out which 3 things determine your level of success. 5 to Thrive is recorded live Monday-Friday as a Facebook Live from my ocean view patio in Cabo San Lucas 1st thing in the morning, so you may hear birds or my dogs in the background. How do you make memories and what are really the ones that stand out? 5 to Thrive is recorded live Monday-Friday as a Facebook Live from my ocean view patio in Cabo San Lucas 1st thing in the morning, so you may hear birds or my dogs in the background. Episode 3: Is Your Normal Really Normal? Is it just you or is what you accept as normal the norm of a much larger group? It's all relative, right? 5 to Thrive is recorded live Monday-Friday as a Facebook Live from my ocean view patio in Cabo San Lucas 1st thing in the morning, so you may hear birds or my dogs in the background. Episode 2: Is Comparison Ever Good? Comparison can be a big trap. Listen in and see if there's a more empowering way to look at it. 5 to Thrive is recorded live Monday-Friday on Facebook from my ocean view patio in Cabo San Lucas 1st thing in the morning, so you may hear birds or my dogs in the background. If money loves speed, exactly how do you implement this idea? 5 to Thrive is recorded live on my ocean view patio in Cabo San Lucas 1st thing in the morning, so you may hear birds or my dogs in the background.